Do you get overwhelmed when you are about to move out of your home? No matter how many times you have done it, whenever you don’t plan well, you will always feel that something is not right. Whether you have sold your house or simply vacating to another rental, planning helps you to stay organised and avoid losing things. Here is a guide to help you plan to move out and keep track of everything. Moving out is not easy unless you have very few stuff in your home. Organizing yourself is something that might take days. You need to create a schedule of when you are going to do specific tasks. For example, you can set one week to sort out clothes, another one to sort out utensils, furniture e.t.c. Websites like The House Shop can help with a number of chores, such as quotes, emergency repairs and more. You can then set up a week of packing things and another one of getting rid of what you don’t need. When creating your timeline and schedule, you also need to create a checklist that will help you to keep track of things when moving out. Moving out of your house can be costly especially if you going to move to a relatively far place. Sort out what you are going to move with and determine how much they may cost. 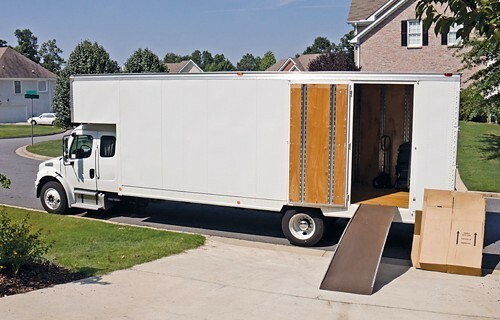 “You can inquire from a nearby removal company about their services and costs. From their package, you can then set up your moving budget and get ready. Setting up a moving budget helps you to save in advance and ensure that the cost of moving out doesn’t exceed your budget.” advises ASB Business, Accounting and Financial News. Finding the next property you will rent can be a tiresome experience. After setting up your budget, find ways of saving money. Look for tips that will help you to avoid losing money when moving out. This will help you to avoid spending more than what you have planned. What stuff are you going to carry to your new place? You cannot take everything since you don’t need some things. You should organise your belongings and get rid of clutter. You might want to sell some things that you don’t use and get rid of others that are useless. If you are selling your house, your buyer might have requested that he wanted some things. Ensure that you leave them as agreed. You will have to create a list of what you need to leave behind and what you are going to carry with you. After sorting what you need, you should get a place where you are going to pack each stuff. Remember even if you are going to hire a professional removal company, you need to put everything in the right place. You can use boxes to pack small stuff like utensils, books and other things that will fit in. You also need tools that will help you pack your belongings. Movers are professionals who will help you move your stuff safely to your new destination. Even though you can move by yourself, if you have many things in your home, you might need to get movers to make work easier. Movers have specialized equipment to move all your stuff in the right way. While many may not see the need to clean a house they are leaving, it is an honourable thing to do. The new homeowner does not have to come and start cleaning a messy home. You can do simple broom cleaning if you don’t have time to deep clean it by yourself. If you wish, you can hire professional cleaners to deep clean the house. They will wipe all the drawers, vacuum the floors and wash the bathroom and kitchen. Preparing to move out of your place does not only involve dealing with your old place, especially if you’re buying and selling at the same time. You need to check on the new area that you are going to settle down. Make sure you change the lock first as soon as possible. Ensure that it has everything that you need, e.g. adequate lighting, cabinets, water etc. You can also clean it, change the locks and check if everything is okay with all the rooms. Preparing to move out of your home does not have to be stressful anymore. Prepare everything on time and start as early as possible so that you don’t get overwhelmed at the end.